Noisy, chaotic and rich with colour and life, the weekly Thursday market in Barcelos attracts people from the Minho region to buy and sell all manner of things. 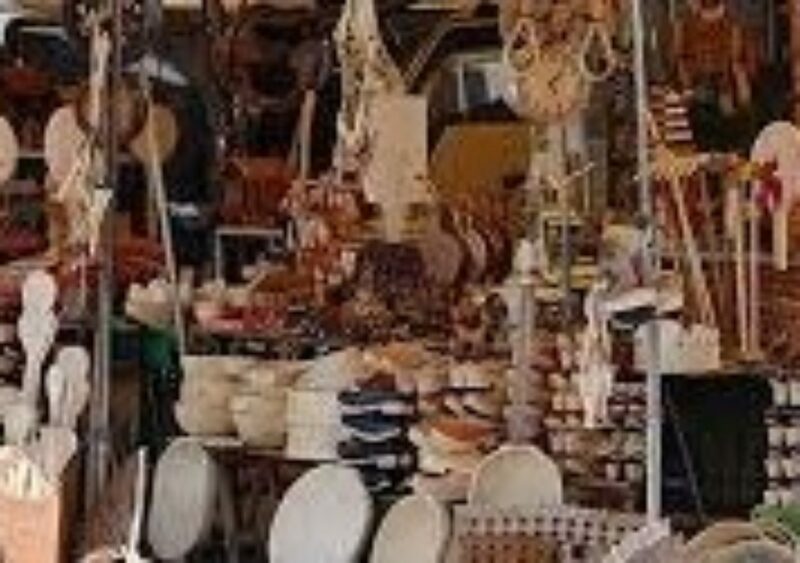 You’ll find cheap clothes and shoes, fresh fruit and vegetables, lots of ceramics, lampshades, kitchenware, traditional tools and farming equipment as well as souvenirs and handicrafts. The Barcelos market started life as an annual event in 15th century and remains an important element of the local economy and culture. 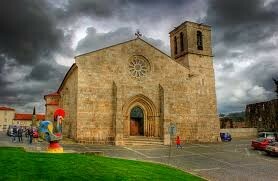 Barcelos is a small town known for its pottery and the most widely-recognized symbol of Portugal — the Barcelos Cockerel. 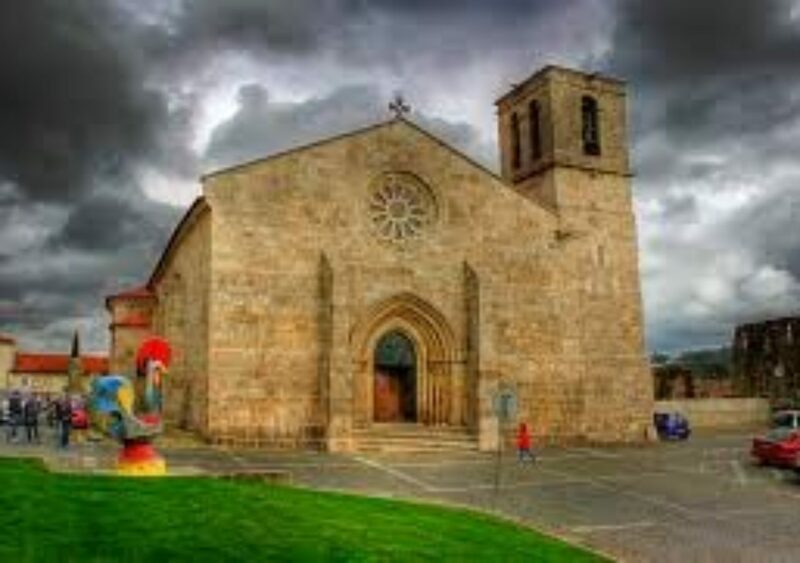 A 13th-century legend says a pilgrim on his way to Santiago de Compostela stopped in Barcelos and was wrongly accused of theft and sentenced to death by hanging. He was spared when he stated that to prove his innocence, the roasted rooster that the judge was about to eat would get up and crow. 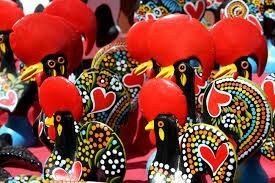 It did, and since then, brightly painted ceramic cockerels are sold throughout Portugal as symbols of good luck. Barcelos is also one of the cities on the Portuguese Caminho de São Tiago da Compostela. The tourist information centre should have some pocket leaflets with details of what you can see on the Barcelos stretch of the route. As you’d expect, the main highlights are chapels, churches and bridges, as well as pretty countryside. the Museu Arqueológico open-air archaeological museum is not only free but puts the ruined Counts of Barcelos Palace to good use. 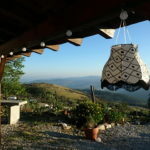 It’s open to the skies and overlooks Barcelinhos across the river as well as a 15th century manor house. The exhibits in this museum are made of stone and tiles and continue to withstand the elements centuries after they were made. 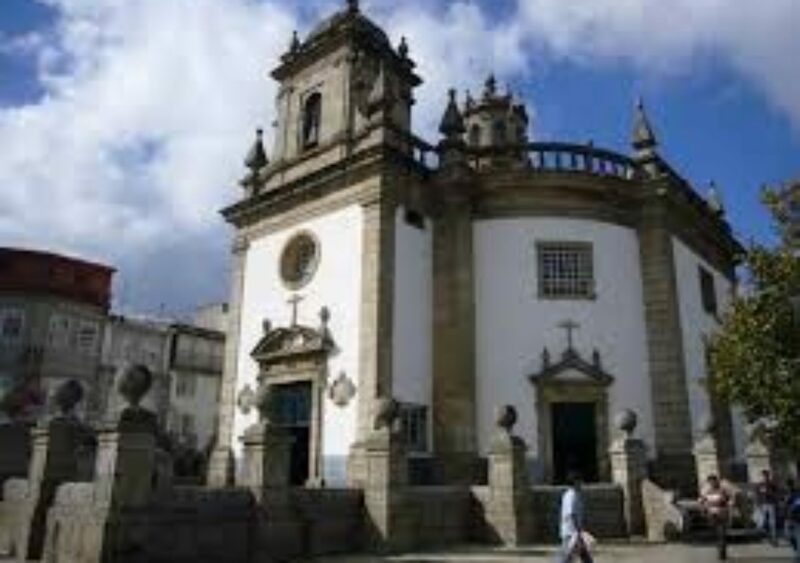 This is where you’ll find the stone Crucifix to the Lord of the Rooster (Cruzeiro do Senhor do Galo) which was erected by the poor fellow who only escaped death because of a rooster. the pottery museum, Museu de Olaria. 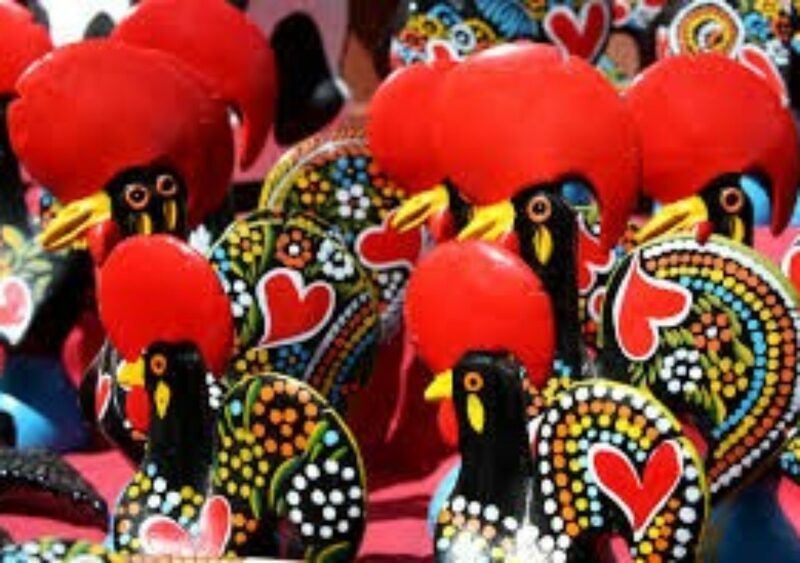 Barcelos has inspired many varieties of ceramics and pottery over the years, from earthenware pots to bushy-eyebrowed ladies.